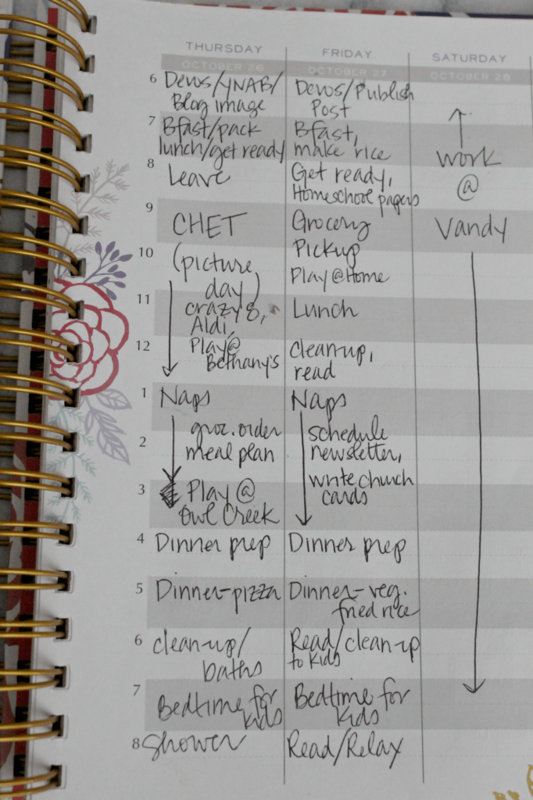 As a busy mom, it’s not always easy to be intentional and organized. The Brilliant Life Planner helps you focus your time and energy on what matters most! This simple statement, or its sister-question, “How do you find time to do everything?” are ones that I hear on a regular basis. Plain and simple, I don’t do it all. I don’t find time to do everything. None of us can. But in all honesty, I sure used to try. We all want to feel like Superwoman, right? For years, I crammed as much as I could into each day, burning the candle at both ends, feeling a sense of accomplishment with each item crossed off my neverending to-do list. 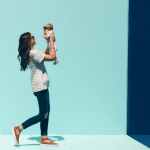 As someone who is highly driven by goals and lists and accomplishment, I’ve had to deliberately scale back since becoming a mom. Any mother with young kids can understand that it’s not as easy to get things done when there are little ones around. And that is perfectly fine. So now, instead of trying to do it all, I try to do what matters most to me. But doing what matters most requires some intentionality. It doesn’t happen by accident. All through high school and college and grad school, I used a paper planner every year. 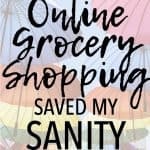 It was a life-saver, because it kept me organized and helped me juggle exams, papers, presentations, work schedules, family schedules, appointments, and more. 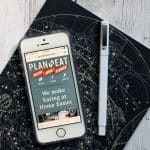 Then later, as I became more adept with my smart phone, I began using my phone’s Calendar app to keep track of important dates and appointments and schedules. And really, it worked totally fine for managing that sort of thing. However, I felt like each individual day didn’t really have a plan. 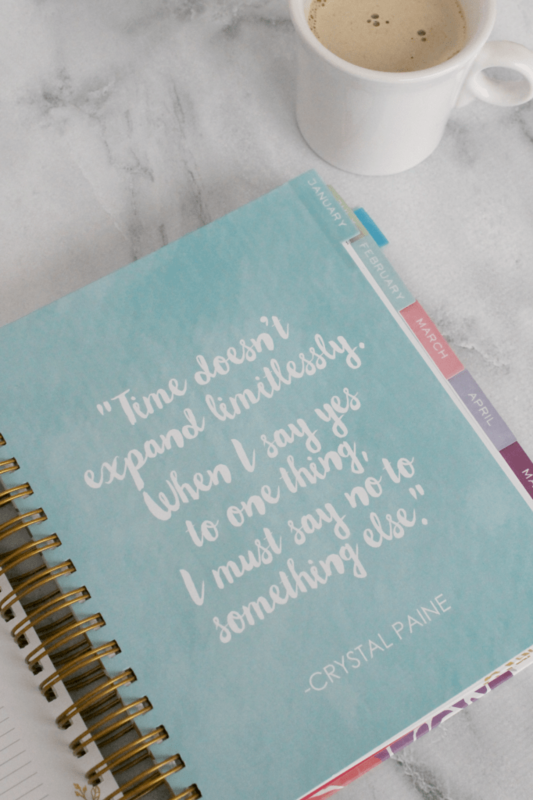 I needed a system for creating goals and executing a plan to achieve them, for managing the daily tasks of running a household and a business and for making time for the things that mattered the most. But I knew I needed to find a better way to use my time wisely, so I went out on a limb and bought one. I’ve used it all year now, and here’s the thing: I love it. Because it’s more than just a calendar, it has been so helpful in freeing up space in my mind, in allowing me to set (and meet!) goals, and in giving me a way to focus my efforts the way I want to. 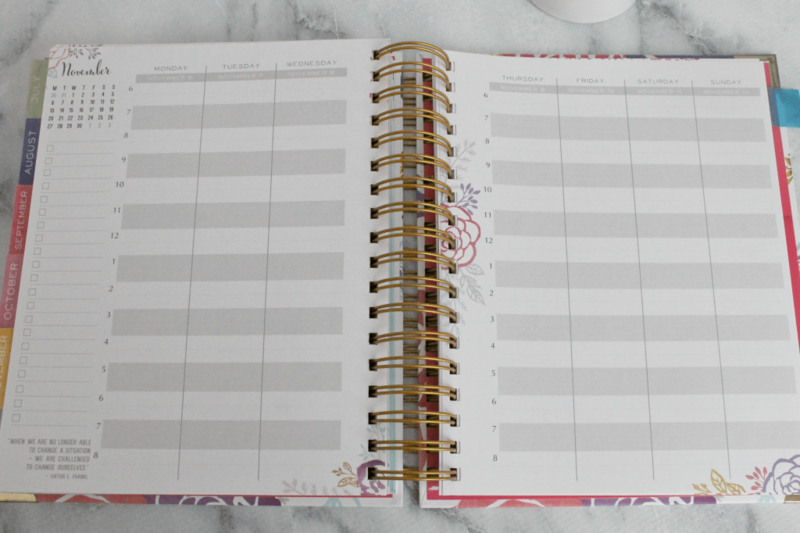 Finding a planner that works for you can streamline your thoughts and help you achieve your goals. 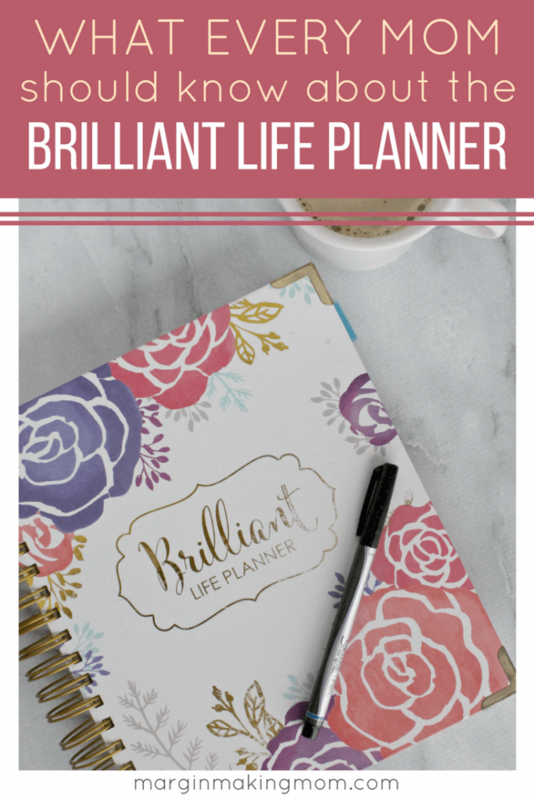 I’m going to share some of my favorite ways the Brilliant Life Planner keeps me organized. One of my favorite things about the Brilliant Life Planner is the way it encourages you to make goals. There is a page for “What I’d Like to Do + What Matters Most,” where you can brainstorm things that are important to you. The “My Top 5 Passion + Goals” helps you determine the areas that are most important to you and then set goals for those areas. But we all know that setting goals isn’t enough–you have to make a plan to achieve those. There is another page for a “Big Goal Breakdown” and, my personal favorite, “Big Goal Mind-Mapping” where you create a mind map for your goal. A mind map for your goal is a wonderful way to visualize what you want to achieve and how you’ll get there. These weekly pages are one aspect that really sets the Brilliant Life Planner apart from other standard planners. Each week, there is a page for reflection, where you can record memories and gratitude, as well as think about the progress you made toward your goals. There is also an area to reflect on struggles and stressors from the previous week, because we all have them. You can also think about how you overcame those struggles. I love this exercise in reflection. 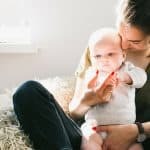 As moms, we have SO MUCH in our brains at any given time, so self-reflection may not be at the top of our mind. But I have found that starting my week with a few moments of reflection is a really positive exercise. At the beginning of each week, I also list my work tasks and personal tasks, choosing three of each to be the highest priority for the week. This forces me to prioritize, so I know where to focus my time and energy. At the bottom of the page, you’ll find areas to list your appointments and meetings for the week, as well as any people you need to contact. And can I just say that I love the area where you can list people to encourage this week? What a great way to be others-focused as you start the week! Prior to using the Brilliant Life Planner, I had never actually time-blocked before. If you aren’t familiar with time-blocking, essentially it is simply breaking your day down into blocks of time. Then, you plan what you need to do in each block of time. I was a little hesitant to even try this, because with little kids around, our day can often be unpredictable. 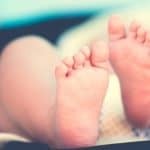 Maybe someone gets sick, or the kids are fussy, or we had to make an unexpected trip to the store, or naps are a jumble, or whatever the case may be–motherhood has taught me that flexibility is key. But honestly, time-blocking has been very beneficial. Every morning, I (loosely) plan out our day. Do we always stick to it? Of course not. But it gives me a framework for the day. Perhaps the most important aspect of time-blocking for me personally is that it forces me to not cram a bunch of stuff into each day. It is a tangible, visual reminder that time is a finite resource. I have a limited amount of time blocks, and it doesn’t do me any good to put ten tasks into one block. In short, it helps me be more realistic with what I hope to fit into a day. Many of our days look pretty similar, thanks to our general routines. But I still plan out every day, because the simple exercise of writing it down helps me to focus on the most important things for that particular day. 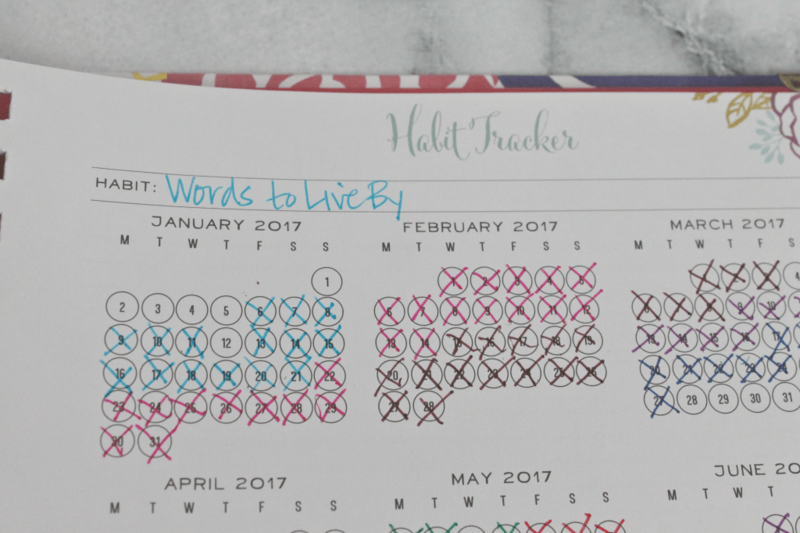 I had never seen habit tracker pages before, but I love them! It’s such a simple idea, but one that can be really effective. You can choose something that you would like to become a habit, and then check off each day that you did that thing. Over time, you’ll find that it is becoming an ingrained habit. For instance, I decided at the beginning of the year that I wanted to begin a habit of reading positive affirmations each morning, which I call “Words to Live by.” So I started tracking the habit. As you can see, there were days when I forgot, but the simple act of tracking the habit made it much more likely that I would remember to do it! I mean, just look at the cover! There are a few different covers to choose from, and I’ll admit, it’s not always easy to choose. But I have loved this cheery floral print. There are a few new prints this year, which I’m excited about. It’s the little things, right? If you’re going to be using a planner all year, it might as well be cute! And, it has to be durable. Mine has held up amazingly well, especially considering I’ve used it daily, I’ve traveled with it, and it’s survived a household of three kids. 🙂 Impressive, if you ask me! 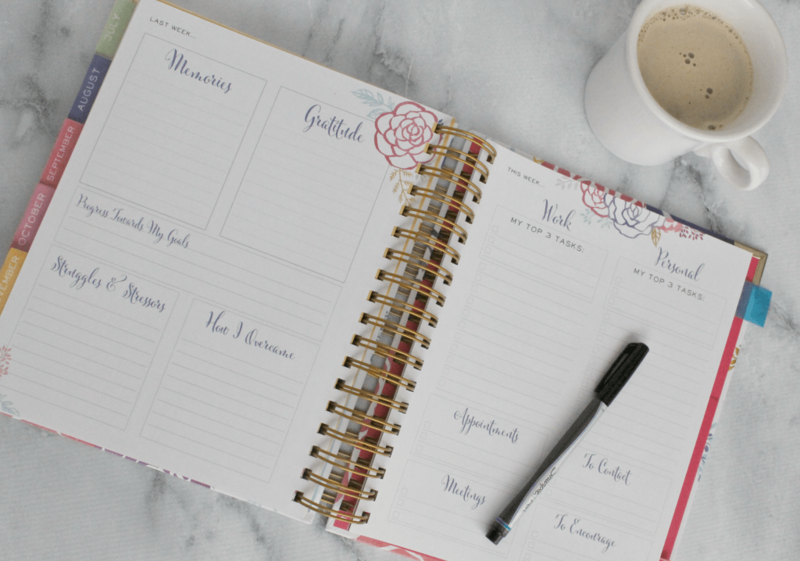 Using a planner to create goals, break them down into manageable chunks, and then prioritize your daily activities is a wonderful way to focus your time and energy on the things that matter to you. I personally met many of my goals sooner than I expected, thanks in part to the planner giving me a good kick in the pants. But beyond that, I’ve been able to spend more time with my family and approach each day with intention. And that, my friend, is priceless. 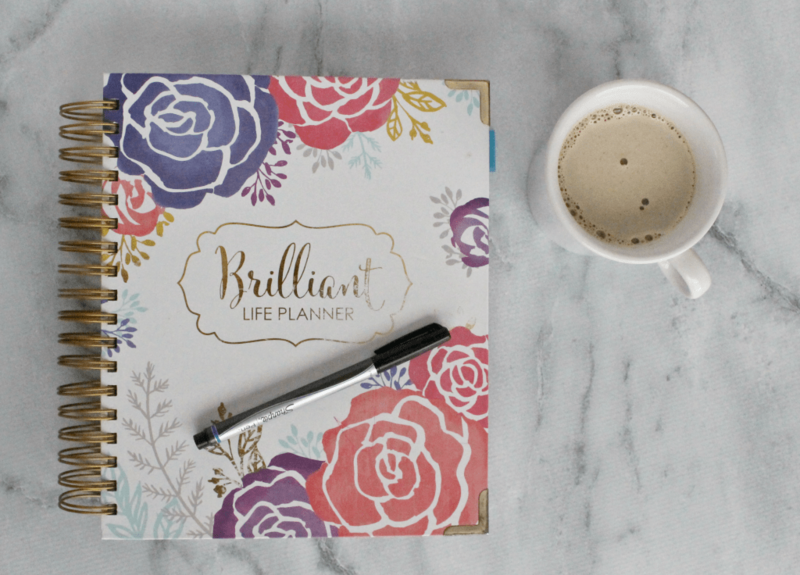 If you’d like to check out the Brilliant Life Planner for yourself, you can see the different options here. I can’t wait to get my 2018 planner! And you won’t want to miss this–there is a special early bird discounted price from November 3 through November 10! Get all of the details at the Brilliant Life Shop! Do you want to live your truth? 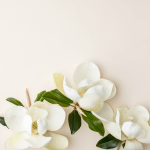 Subscribe to the Margin Making Mom newsletter and get instant access to a free printable page of affirmations as well as a page with space for you to write your own affirmations! Success! Now please check your email-- you'll receive an email from us shortly with an option to "confirm." Once you've clicked confirm, you'll receive a second email with your free printable! I'm choosing to live my truth!